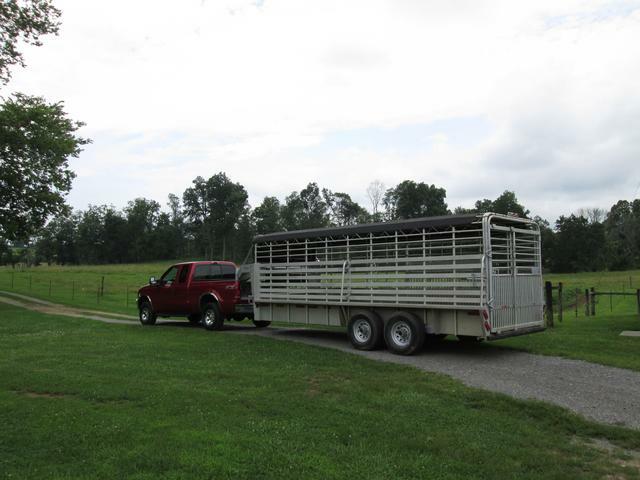 For those of you who pull livestock trailers,do you have pipe sides,punch sides or panel? I guess aluminum is mostly punch or extruded,like mine is.It's an 18' Sundowner.I wanted a 20'.My son wanted a 16'.This was on sale as a last year's model. I'm sure the part of the country you are from makes a difference,too.Texas and the Deep South probably have more pipe sides. Steel pipe and plank Hanover 77 Model. Panel side Eby - nice, quiet trailer. I'd like to try a punch side next go-round, either an Eby or Wilson. Pipe and panel. The GR is heavy duty - love it. The Titan is when we just need to haul 1 or 2. TCRanch wrote: Pipe and panel. The GR is heavy duty - love it. The Titan is when we just need to haul 1 or 2. Hanover started in 1955 in Bryan and Gooseneck brand in 1962. My bet is someone got mad cause they’re identical trailers for several years. I have one like this now as gave $6500 for it at a local farm closeout sale, almost 7'x20' length and W&W brand. I have not lost one out of it yet. I pulled a rear hub off a few weeks ago to check the brakes for wear. There was about a teaspoon of dust in there and the brakes probably 75%. The hubs also have a grease zerk on the outside to grease. I had one like this as I did not like the enclosed sides unless dead of winter, it was almost 7'x20' long. I also didn't like the saddle storage nose front as I didn't need it for cattle. Every time I went to back all I could see was that protruding nose stuck at my back window and could barely see. 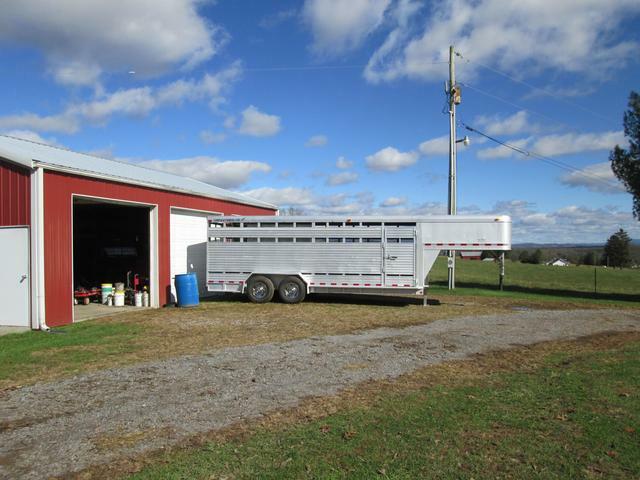 I sold it, but the featherlite seemed like a good trailer as I bought it from a horse company that hauled horses all over the US. I bet it had 200k miles on it. I gave 8k for it and sold it for $7500 as it needed brakes, some wheel bearings, etc. This was a 95 model and the sides were pretty thick aluminum compared to the new ones I have looked at. Those horses put dents in it and I bet if it was a newer one they would have about destroyed it s thin as they are. The best trailers I have looked at are Wilson, but you pay extra for it as they are not cheap. If I hauled cattle like Kenny has for years at the local markets I would want one. Last edited by jltrent on Thu Aug 02, 2018 11:19 am, edited 5 times in total. Is that my truck I see? WW stock trailer with flat steel panels. I'll come after it in October if that still works for you.